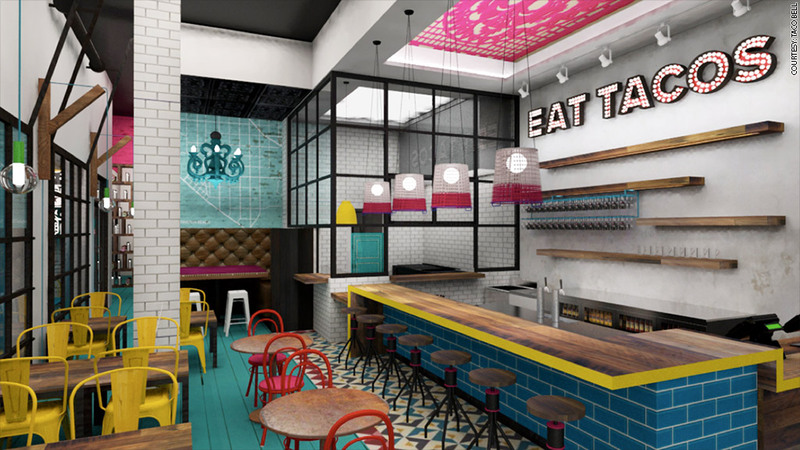 A rendering of a U.S. Taco Co. shows an eatery that could compete with chains like Chipotle and Qdoba. You can't get a Mexican Car Bomb at your local Taco Bell. But you will at a new restaurant the fast-food chain is testing in a bid to reach new customers. How far is Taco Bell branching out? The Mexican Car Bomb isn't even a taco. It's a vanilla shake with Guinness, tequila caramel sauce and chocolate flakes. U.S. Taco Co is set to open in Huntington Beach, Calif., this summer, with a taco-focused menu -- but not the same tacos you can buy for a buck or two at Taco Bell. The "Brotherly Love" will be like eating a Philly cheese steak stuffed inside a flour tortilla. The "Winner Winner" adds a southern twist, with crispy chicken and gravy. 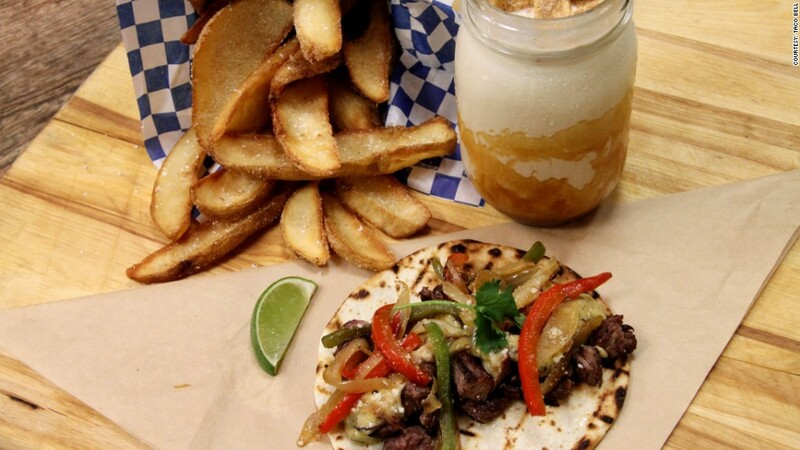 The eatery won't offer Mexican restaurant favorites like burritos or tortilla chips, and instead it will sell steak fries with tacos. U.S. Taco Co. aims to fit in with other "fast-casual" chains like Chipotle, Qdoba Mexican Grill and Panera, said Morningstar analyst R.J. Hottovy. It's a growing industry so it makes sense that Taco Bell, owned by Yum! Brands (YUM), would want to enter the field. "The cost to operate isn't as high as casual restaurants, but they can still charge higher prices. It's very lucrative," Hottovy said.